I'm interested in your product but do you have a model suited for the iPhone3G and iTouch? I have the 2006 BMW 5 series E60 with idrive and inav. Do you have a DIY video? Where to install best your product either in the trunk or glove compartment? Thanks. I have a 2001 e38 and I am considering installing the Dice ipod integration kit. I just want to verify one point. I have read in the product information that using the dice integration kit will provide the capability to display the MP3 tags (song text) on the display. Correct me if I am wrong but I thought this capability is a function of the factory radio in the car. My car has the old radio model BM53 radio module which does not display MP3 tags. The newer radio model BM54 radio module is the model that displays MP3 tags. I know the dice product replaces the CD changer and will connect to the factory radio, but I do not see how the dice product will provide MP3 tag display for my vehicle since the radio module does not have that functionality. If this is a function of the electronics of the dice product then please explain. I just purchased the dice silverline pro and installed it in my 98 740il with cd43 using the radio interface wiring. I have no sound. Reset ipod still no sound. Suggestions? DO I need the DSP adapter even if I have the CD43? Last edited by cdk348; 12-30-2010 at 11:22 PM. I have 95 m3 with CD43, what do i need to make it work? A 96-99 radio to CD changer cable? The iPhone 3G is supported and the newest kits offer 5V USB charging. We ship all docks with the universal insert as many customers have mulitple iPods. However you can get the iPhone specific dock from your local apple store. They are ~3 dollars and snap right into the dock. Halston, do you guys also sell these docks via Amazon? I have a '95 M3 with a CD43. The Dice iPod unit worked reasonably well until recently. Now the display on the radio just shows 1 character at a time. I reset the Dice by unplugging it and the display works fine for a day, then it goes back to a single character scrolling display. I use an iPod touch, my wife's new iPod classic freezes the who system up and I have to reset to the Dice again. It is getting very frustrating. I cannot find definitive help about fixing this. Anyone? I also have a CD43 in 2 separate vehicles... 91 M5 and 95 M3. In both vehicles with different iPods/iPhones, the unit works well for one or two occasions. Then it will just give the NO DISC error. Sometimes this can be reset by unplugging the battery and touching the cables together. There does not seem to be any consistency, but it fails a lot. Any ideas?!? Its been about 6 months since I installed the kit and still love it. Ive had some issues when hooking an iPhone 4 up to it: someone has to hold the plug into the bottom of the phone for it to sometimes work. Also, sometimes when I turn the car on, it doesnt recognize the iPod unless I unplug the iPod and plug it back in, or cycle the source on the headunit till it goes back to the iPod and then it works. - I don't use an iProduct with the Dice. I use a Sprint FIPO. It's a VERY small Bluetooth device with a female iPlug receptacle and a single blue LED that lights up when it has power. The purpose of this device is to allow me to wirelessly use my Motorola Droid X via Bluetooth to listen to music rather than shelling out the money for something that's ONLY going to play music. In summary: I plug the FIPO into the Dice cable instead of an iPod, and it allows me to connect with my Droid X over Bluetooth to listen to music. This works PERFECTLY when it's not hindered by a weird Dice or Dice cable issue. - When I turn the car off without unplugging the device within thirty seconds, it won't come back on again the next time I start the car. If I unplug it within thirty seconds of turning the car off, I can manually plug it back in the next time I've started the car and it'll work just fine. I don't want to have to bother with this every time I get out of the car, and I'm hoping the Silverline Pro is capable of meeting this very simple need. - I currently have two cables for the Dice unit. The first one is the one that was in my glovebox the day I bought the car. When I was testing it out on my gf's iPod it played music flawlessly, but didn't charge the iPod. I took this as a sign that it wasn't the proper 5v cable. When I tried my FIPO Bluetooth device and it wasn't lighting up the blue LED, I took it as being etched in stone that the cable was NOT providing any juice for devices plugged into it. So I bought the proper cable, and plugged it in. Cable #2 didn't do ANYTHING. It only made an intermittent humming noise when I unplugged any device from it (FIPO, iPod, etc. ), however... if I plug in cable #2 with the FIPO, immediately unplug cable #2 and reuse cable #1 with the FIPO, the FIPO lights up and works flawlessly. The FIPO doesn't hold a charge, nor is it large enough to hold a battery of any size, so now I'm thinking that cable #1 DOES provide some sort of charge. To be honest, the whole thing is really frustrating. I've exhausted every possible self-researched method to getting this thing to work with any consistency, but now I'm appealing to you fine people. I really hope my problem has an answer other than, "You need to buy an upgraded model." Thanks in advance, everyone. Any and all help or feedback is greatly appreciated. ok so I am a bit confused?? which one do I need to connect to the BMW Traffic Pro??? is it the "USA SPEC PA12-BMW" or the "I-BMW-T"
Works it for 118d E78, year 2010? So I am pretty interested in this thing. But not too interested in paying half of what it is worth, just to have UPS lose or break it as they do with virtually all shipments. But BWS doesn't give any alternative shipping methods. Can I call them to ship it with a reputable company instead?? I'm on nightshifts and won't be up during business hours to call for awhile. ive got a po box i would want to ship to, is USPS an option? installed the dice duo on my e36 m3 yesterday. plug and play love the result. Is there any options for a 2000 328Ci????? Last month I've just bought Dice Silverline Duo from EAS to my country (Indonesia). Now I have a little problem installing the Dice to my CD43 Headunit. I've checked my car wiring, my CD43 headunit working properly. Sadly, my car is not pre-wired for CD Changer option. so, I can't find the 3-pin and 6-pin which I must have to connect to Dice wiring/connector ( I-bus wiring connector, CMIIW). 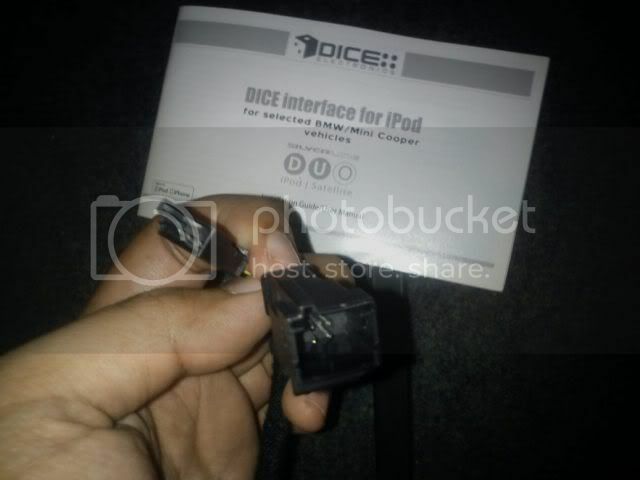 how can I connect my Dice to my CD43 bussiness cd headunit? did I need another cable? 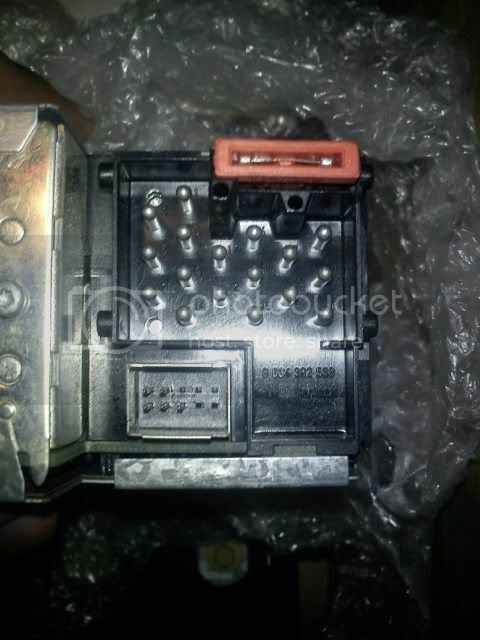 or just need to buy an I-bus cable to connect from my back side of cd43 to dice cable harness ( which need 3-pin & 6-pin connector from I-bus) ? 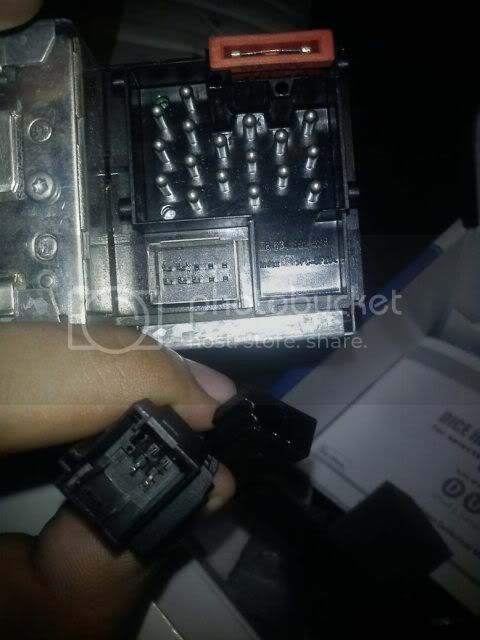 may I know what is the BMW partnumber for the I-bus cable that I need? just purchased a dice unit with the 2.5 doc and mounting the dice unit its self seems a little awkward. its either, infront of the gas pedal (in the way of my big foot =( ) or it is on the same side but further back infront of the seat. if anyone else drives and puts the seat up it will smash the dice unit..
i should of went up the passenger side. pics would be nice. i have checked through the videos on you tube and my install of the cable routing went in with about 15 minutes. 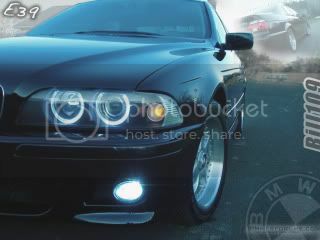 the car is an e39. Thanks for giving this information and ideas how to install the products you sell. I got a dice media-bridge DUO-100 silverline. Problem is, I have a 1997 E36 cabrio with a cd changer in the back and C33 head unit. I tore out the carpeting in the back and I could not located these 3-pin and 6-pin adopters. where are they located would anyone know? My DICE kit has been problematic since day one. Simply put, it doesn't work. The interface is terrible when it does 'decide' to function. I will be buying one of these ingeniuos pieces of beauty this week, finally a great way to get my ipod in my bimmer without it making a huge mess. Thank you! if you are interested to open a franchise in your locality then apply now. For franchises $600. We are offering open worldwide franchise.